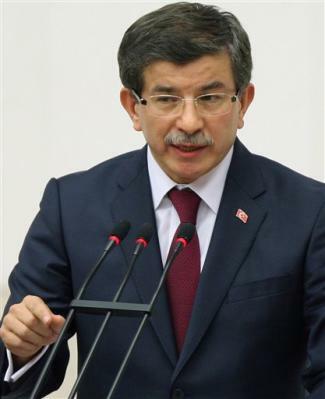 With all due respect to Minister Davutoglu because I know he means well, the U.S. government acknowledging the Armenian Genocide will not harm Turkey-Armenian relations and it should not add strain to Turkey’s relationship with the United States. Minister Davutoglu doesn’t understand what mediators know to be true: There are different levels of defining peace. While many people, Americans mostly, define peace as a state of bliss where everything around us is good and everyone around us gets along, others, notably people in war torn countries, consider peace to be an absence of active war. Mediators define peace (we call it “success”) differently, too. One way is compromise that avoids expensive litigation through settlement, but doesn’t necessarily resolve the conflict. The parties may still walk away believing their opponents are the enemies who intentionally injured them. If the relationship continues, as it often must, the unaddressed, underlying conflicts resurface and manifest in a new dispute. Take neighbors, for example, who dispute property lines or encroaching tree limbs. Once the survey is done and the tree is trimmed, that immediate dispute is settled. But unless the animosity and bad feelings between them are addressed, and the underlying conflict resolved for good, new disputes will likely erupt in a few months over parked cars, fertilized lawns, noise, lights or any other lever disgruntled neighbors can find to fight about. That’s how unresolved, underlying conflict continues. Turkey and Armenia are neighbors who will never have true peace until the travesties of the past are acknowledged, discussed and artfully apologized for. My “Talk It Over” co-host Louise “Weezy” Palanker puts it this way: Don’t just say “I’m sorry,” (or worse, “I’m sorry you feel that way”), you have to also say, “can you ever forgive me?” and “what can I do to make it up to you?” The transgressor who asks these questions is taking responsibility for his or her actions and attempting to make things right. 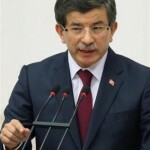 Minister Davutoglu seems to believe that silence and a lack of unrest indicate that all is well when it fact, Armenians are merely tolerating the current situation while still holding a vey deep grudge, resulting in an unresolved underlying conflict. Real peace between Turkey and Armenia will be achieved once Minister Davutoglu or another high-ranking Turkish leader delivers a public acknowledgement, complete with a responsible apology, and asks the “what can we do to make things right?” question. Then, and only then, can discussions about forgiveness and peace begin. And perhaps then, the world will have one fewer ticking time bomb ready to explode in that part of the world. Permanently.